If you ever want to know what true contentment feels like, try camping out in the woods for a night. When you lie down close to the bon fire and look up at the brilliant night sky, you can’t help but feel awe. The glory of this vast and mysterious universe makes you realize how insignificant you are. Gradually, this feeling of insignificance turns into a moment of self-discovery. Adventure lovers secretly crave for such moments. So they try to enjoy the camping experience no matter where they go. 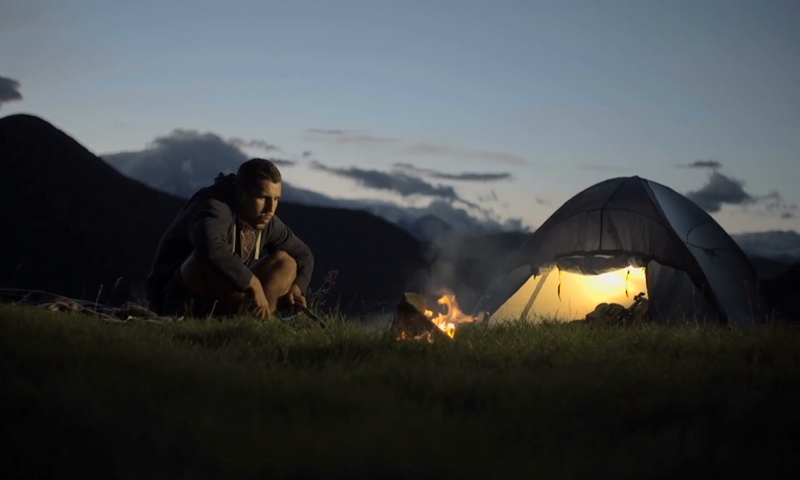 Tent camping is certainly a thrilling opportunity to experience life back when it was simple. The night gets even better when gossip and chatter with friends turn into deep conversations. And when that’s followed by a game of truth-or-dare, the experience reaches a whole new level. But you also need at least some sleep after that exhaustive trek. The cosy tent promises you good sleep. But whether you’ll really get good sleep depends on that one friend who you know is a snoring beast. Many wouldn’t know this but the state of Kerala offers plenty of ideal sites for tent camping. The picturesque mountain views, the misty weather and the exquisite delicacies of the state are great additions to the camping experience. 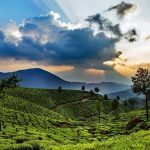 Have a look at some of the best camping sites in Munnar, a famous hill station in Kerala. Anaerangal Camp is a beautiful camping site located amidst the mountains of Chinnakanal in Munnar. The camp enjoys a calm and tranquil atmosphere. It has many cottage tents that feature modern comforts. The camp also offers a wide range of activities like trekking, plantation walks and cycling. Hence, the site is ideal for cyclists, trekkers and bird lovers. The large Gazebo in the camp has comfortable camping chairs which is perfect for fun with friends. The highlight of the camp, however, is the scenic view of the Anaerangal Lake. The Phantom Head Peak near the camp is great for trekking. From the top of that peak, you get a splendid view of the sunset over the mountains. Nature Zone resort is nestled amidst verdant mountains at the top level of Munnar. Apart from high mountain ranges, the resort also has lush green gardens and serene lakes in the surrounding area. Since it is 6 m above sea level, the resort offers a panoramic view of the natural environs. It provides tree houses and luxury tents as accommodation for guests. Both accommodations are ideal for adventure lovers. The luxury tents come with standard comforts. The beds in the tent are covered with mosquito nets. They also have fine linens that keep you warm. The best part, though, is that the tents open to lush greenery. Along with comfortable accommodation, the resort also offers guests a variety of nature-related activities. 17 C Camping Munnar is located close to the famous Mattupetty Dam. Since the camp is right next to lush tea plantations, guests can enjoy an amazing nature walk through the tea estates any time during the day. The best time to enjoy a walk through the estates, however, is early in the morning. Guests love the view of the Chokarmudy hill from the camp. Along with well-built tents, the camp also offers sleeping bags to its guests. There is a nice children’s playground in the camp. Campfire is organised in the evenings. It is usually followed by dinner with barbecue. The majestic Anamudi Peak is about 14 km away from the camp site. Black Eagles Camp is a refreshing camp site in Surynelli, Munnar. The camp site is about 3 km away from the famous Kolukkumalai Tea Estates. The camp features sturdy tents built on the slopes of the hilly region. Since the site rests among the clouds, it enjoys a chilly environment. You get a sweeping view of scenic tea gardens on one side and misty valleys on the other. Even the night sky view from the region is especially wonderful. The staffs arrange a beautiful setting for campfire where you can sing along with friends and share in never-ending conversations. It also offers barbecue facilities in the garden. The surrounding areas present great opportunities for hiking. Cloud Farm Camp is the highest camping site in Kerala with an altitude of about 7200 ft above sea level. The site is situated at Kottagudi Hills near Top Station, Munnar. The camp has grasslands and Shola forests around it. There are many tent cottages in the camp. Along with views of breathtaking natural beauty, the site also offers activities like nature and wildlife photography, bird watching, and trekking. Sometimes, mist covers the entire place. So you don’t even know who’s standing next to you. And on other days when it’s sunny, you get a distant view of the surroundings. The entire experience is truly unforgettable. Camp Eden in Munnar is also nestling on the lap of Top Station. Tucked away amidst the Kanan Devi Hills, the site overlooks a scenic landscape full of lush greenery. The strong Alpine tents of the camp rest on terraced spaces. The staffs provide sleeping bags to the guests for full comfort. Along with accommodation in tents, the camp also offers buffet breakfast and dinner facility. Campfire with live music, however, is the highlight of the stay here. Stargazing is another interesting activity that guests at Camp Eden can enjoy. The main town area of Munnar is about 17 km away from the camping site.